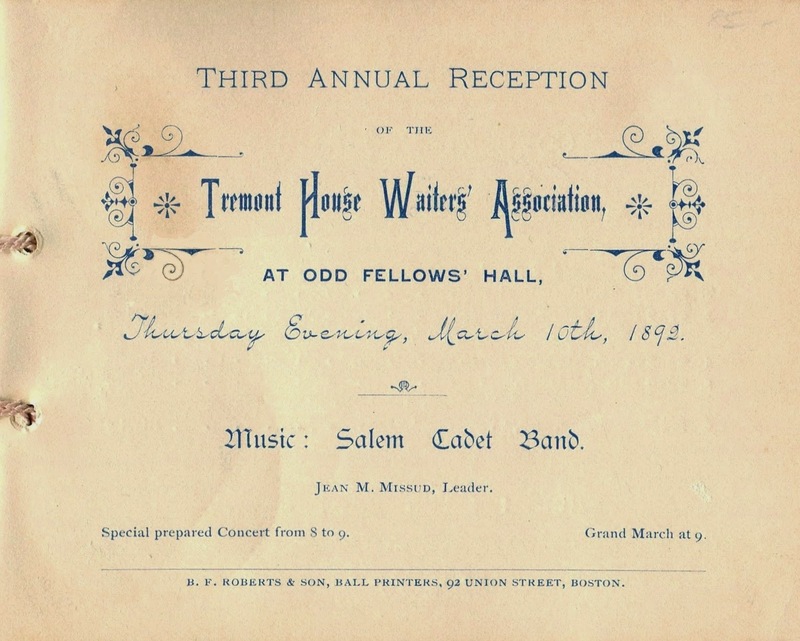 Any document relating to an early African-American union is a rarity, such as this booklet from a ball held by the Tremont House Waiters’ Association in 1892. 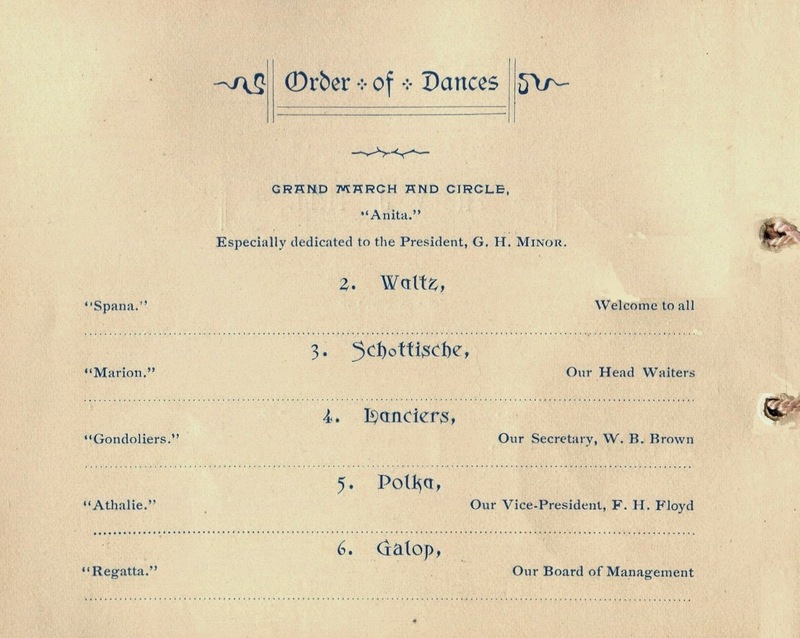 Reflecting the traditional values of this group, the nine-page booklet contains a menu, a concert program, and the order of dances, as well as the names of the officers and management committee. Its most revealing feature is a portrait, perhaps of the association president, which expresses the calm and confident spirit of the time and place. Unbeknown to these waiters, this joyous social gathering marked the apex of their collective lives. 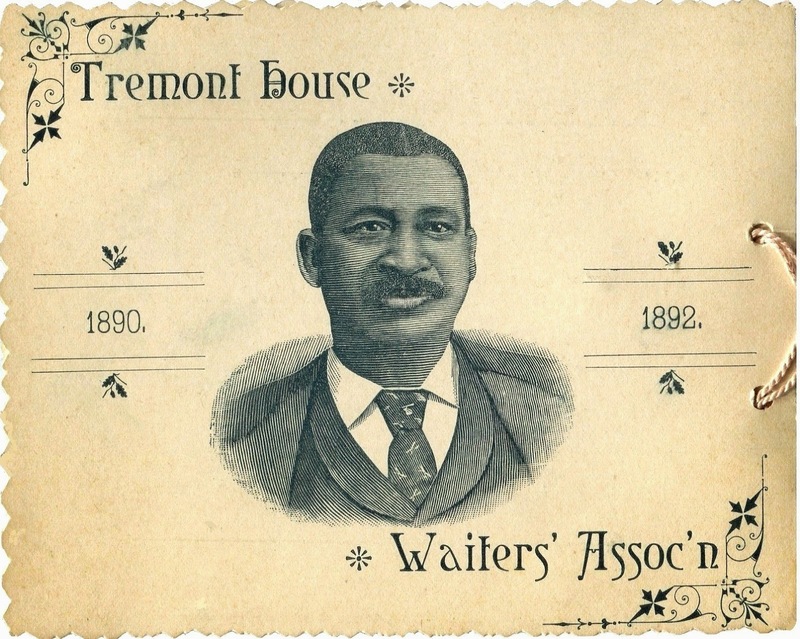 Having organized at a time when race-based stereotypes were prevalent, the waiters at the Tremont House had plenty of reason to celebrate the third anniversary of their organization, which may have operated more as a beneficial association than a trade union. 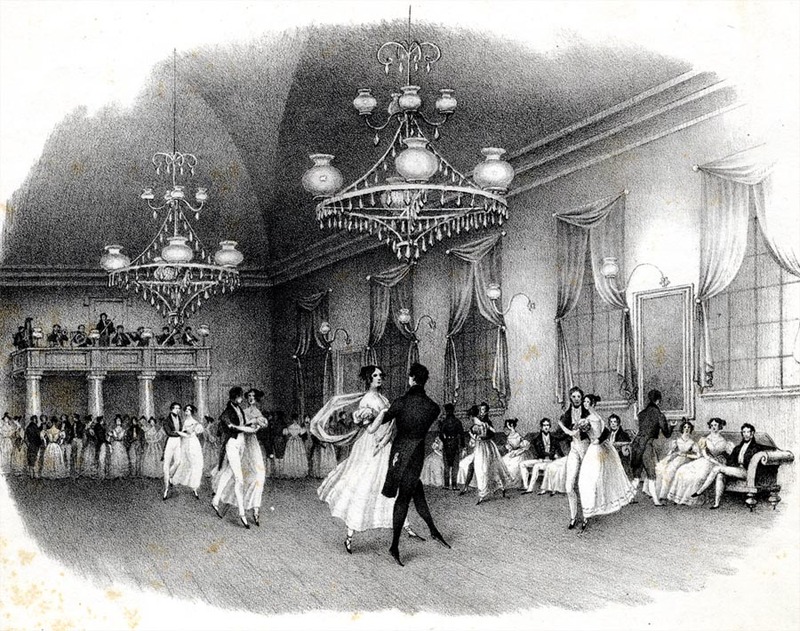 The ball was held at the Odd Fellows Hall in the South End on the corner of Tremont and Berkeley Streets, a little over a mile from the hotel. 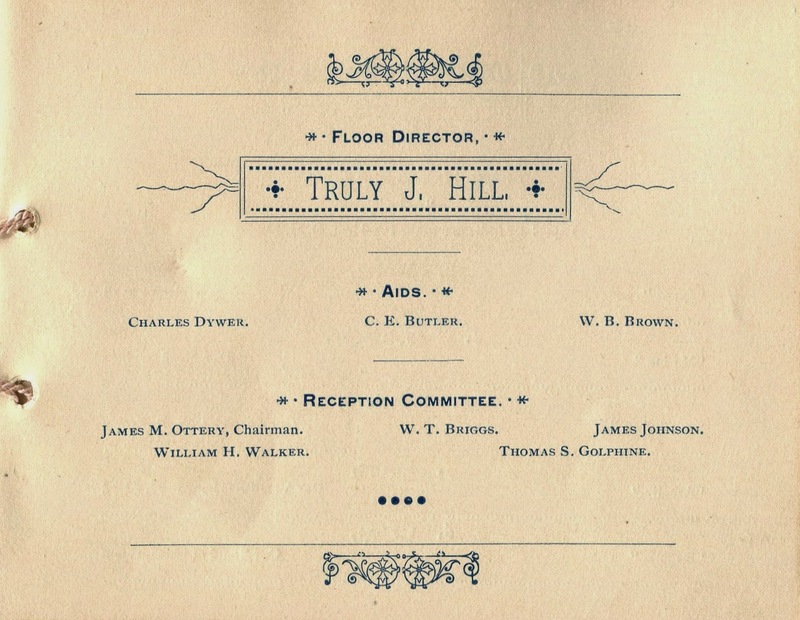 The Grand Order of Odd Fellows was then the largest black fraternal organization in the country, although its membership was by no means exclusively African American.4 Such groups were common in the nineteenth century, providing life insurance, helping construct racial and ethnic solidarity, and serving as a vehicle for sociability and self-improvement. By the end of the century, somewhere between twenty and forty percent of the entire adult male population was thought to belong to at least one fraternal organization. This elegant booklet, featuring an embossed cover affixed with a satin ribbon, was made by B. F. Roberts & Son, a printer in Boston that specialized in making such items for upper-class balls. Indeed, the program it contains is a model of Victorian customs and propriety. The festivities began at 8:00 p.m. with a concert by the Salem Cadet Band. The first number was composed by French-born Jean Missud, the popular band’s longtime leader. In addition to taking part in local civic events, this all-white band toured major cities in the United States and Canada. 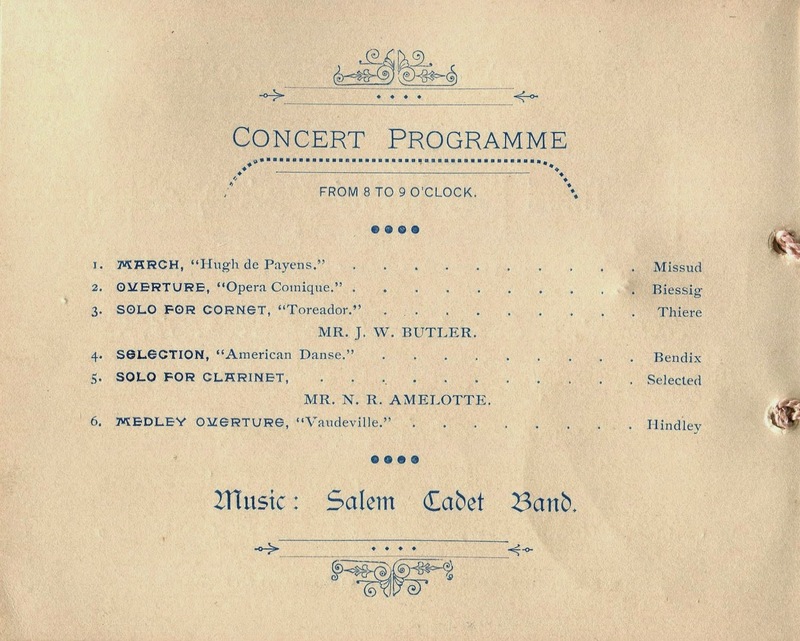 Playing woodwind, brass and percussion instruments, these versatile musicians performed everything from Sousa-like military marches to dance music. 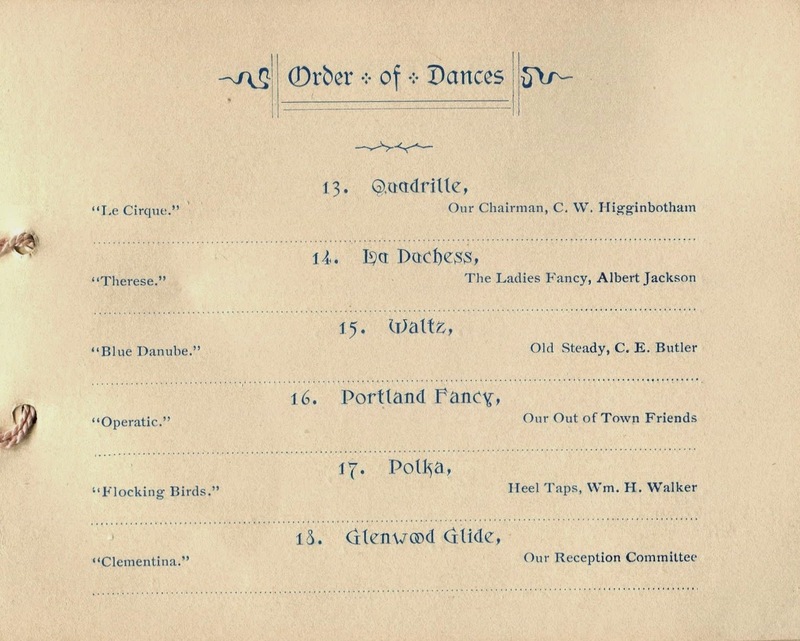 By the 1890s, Americans of all ethnic, economic, and social classes enjoyed some form of social dancing, even though it was often experienced in the context of a limited social life.5 Although African Americans copied some elements of European-American styles of formal dance, it was highly unusual for members of the black working- and middle-classes to closely replicate an elite formal ball. However, the origins of this event were as unique as the event itself. 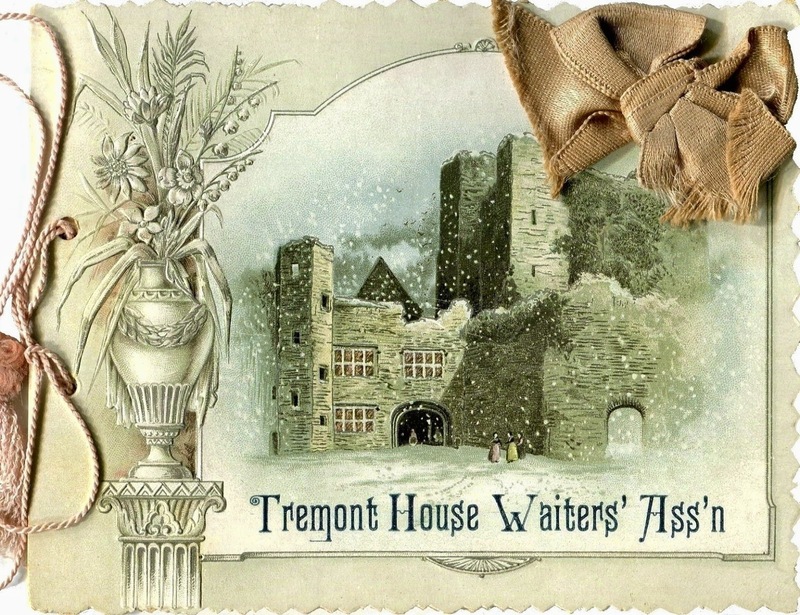 Having facilitated many high-society balls at the Tremont House, the waiters used their expertise to plan this affair. Organized in two sections, the dancing began with a grand march, described by a contemporary dance instructor as a “ceremonious procession most frequently used in opening the state balls of European courts…(when) the master of ceremonies takes command and conducts the dancers through various evolutions.”6 Interestingly, the opening dance was “especially dedicated” to Gabriel H. Minor, the head waiter who served as the president of the association. 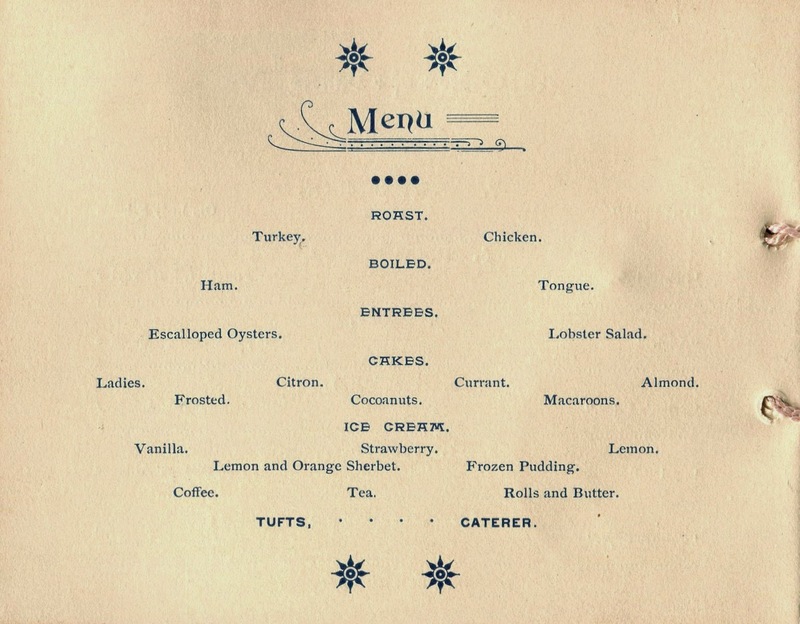 The late supper was provided by William Tufts, a well-established caterer and confectioner whose business was situated inside the Odd Fellows Hall. Since before the Civil War, the catering industry in Boston may have been dominated by African Americans, much as it was in Philadelphia.7 Known for catering class suppers at the local universities, Tufts advertised the quality of his ice cream, shown in three flavors on the menu below. 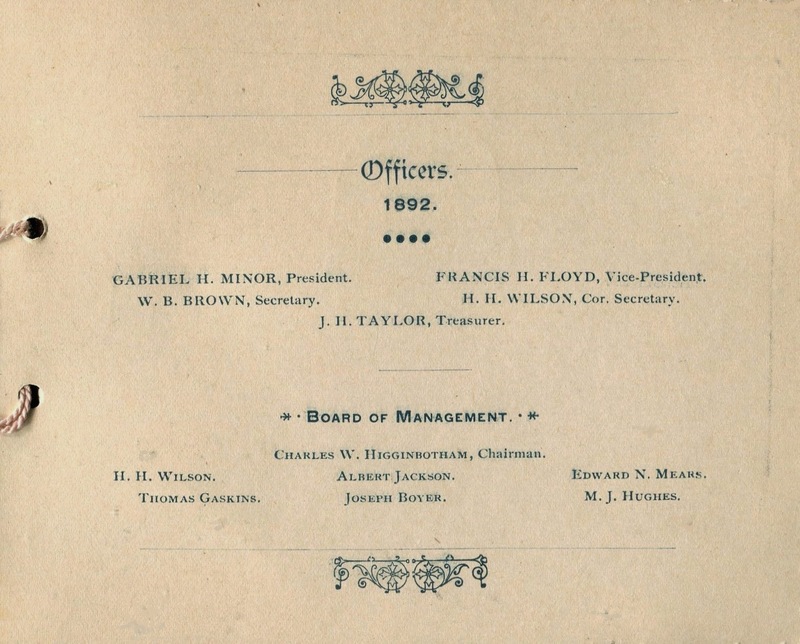 The portrait shown on the back cover is presumably that of the association president Gabriel Minor. At a time when there were few educational opportunities, working-class people with exceptional abilities could find an outlet for their talents in union leadership. Operating in a hostile environment, these leaders were often regarded as heroic figures by those they served. In the spring of 1893, waiters conducted strikes in Boston, New York, Chicago, and Philadelphia.9 Whatever concessions were gained would prove to be short-lived for the waiters at the Tremont House.10 Two years later, the old hotel closed during a deep economic depression. Making matters worse, racial attitudes were shifting in northern cities like Boston, where black waiters began to be marginalized by new ideals of servitude, as wealthy Americans increasingly identified with the European aristocracy.11 The economic hardship imposed by this series of calamities was most likely harsh for at least some members of this group. As for Gabriel Minor, all we know is that by 1905 he was the head waiter at the Cecil Hotel, a middling hotel on Washington Street that is now forgotten. 1. Featured in the essay The Doe-Birds, the Tremont House was the first hotel to offer amenities like indoor plumbing (toilets and baths), locks for guest rooms, and free soap. It was also one of the first hotels in the country to provide diners with a printed menu. 2. Andrew P. Haley, Turning the Tables, 2011. 3. E. A. Maccannon, Commanders of the Dining Room: Biographic Portraits and Sketches of Successful Head Waiters, New York, 1904. 4. In 1843, African Americans in New York City obtained a charter for the Grand Order of Odd Fellows which became the largest black fraternal organization. Nina Mjagkij, Portraits of African American Life since 1865, Rowman & Littlefield, 2003. 6. 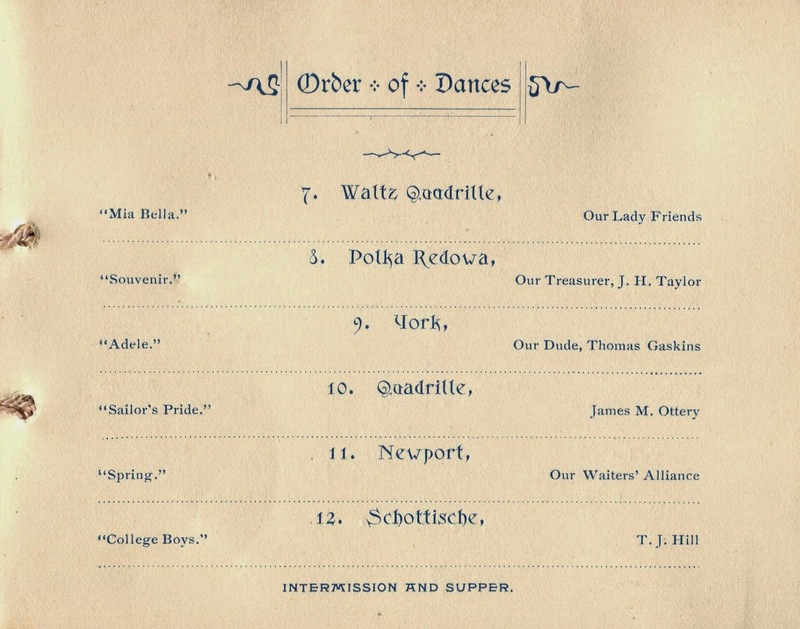 Allen Dodworth, Dancing and Its Relations to Education and Social Life, 1885. 7. In 1869, twelve black caterers formed the Corporation of Caterers, an organization that rapidly grew to five hundred members. Black Entrepreneurs of the Eighteenth and Nineteenth Centuries, Museum of African American History, Boston and Nantucket, Massachusetts, 2009. 8. Approximately half of the waiters in Chicago were African Americans. In 1890, black waiters established a union at the unrelated Tremont Hotel in Chicago, among other establishments. Christopher Robert Reed, Black Chicago’s First Century, University of Missouri Press, 2005. 9. As noted in the essay Hot-House Tomatoes, the newly-formed International Hotel and Employees’ Society in New York struck at the Holland House in April 1893. 10. Since all waiters shared the same grievances, the job actions in 1893 were coordinated across racial lines and across different kinds of workplaces. In addition to demands for job security, higher wages, and better conditions, waiters complained about the common regulation that they report for work without facial hair. 11. Culinary historian Andrew P. Haley notes that there was a growing feeling in American society in the early 1890s that “African-American waiters were manipulative and not genuinely subservient.” (Ibid, p. 284) Interestingly, this change in perception surfaced during a period when there was widespread union activity by black waiters. henry, fascinating! 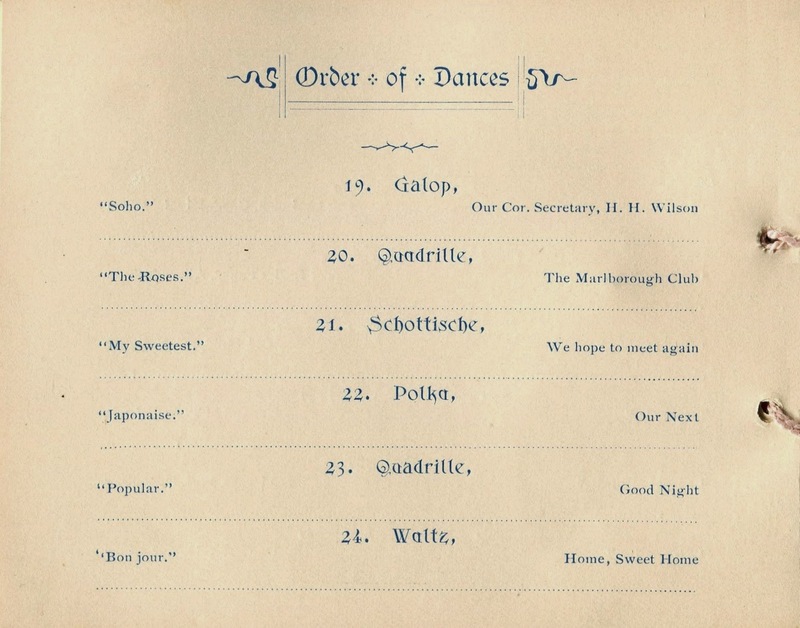 a menu full of social history and culinary history, we're used to, but this one now gives us dance history, too! a rich field! Henry, Great find, wonderful post. Never knew that waiters were African American! As always a great story and I learned many new things. You are a wonder... all this from a menu.